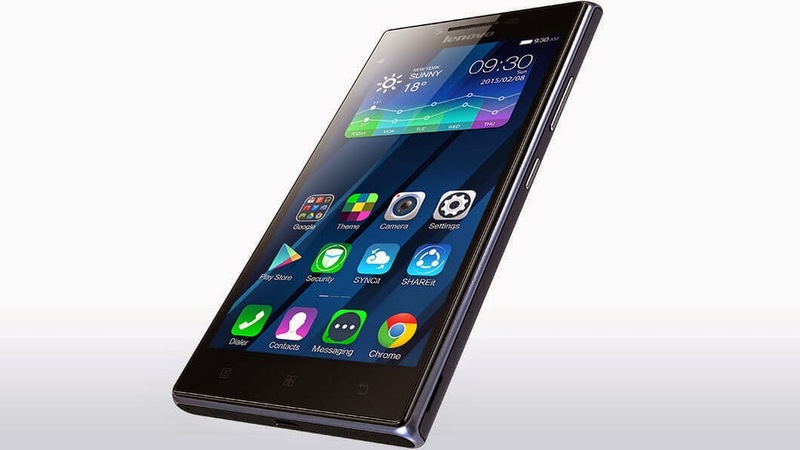 Lenovo P70 is now official with midrange feature set and a juicier battery life. The Chinese giant boasts this handset's longevity on the road stating that it could stay up to 34 days on standby mode. If you're a fan of big batteries in a smartphone, then you might want to stick around and see what this device has to offer. Most of the Android smartphones don’t cross beyond the 4000 mAh line in terms of battery capacity which the Lenovo P70 brags about. The handset sports a 5-inch 720p HD IPS display fitted in an edgy bezel. The back panel houses the 13-megapixel camera sensor alongside the LED flash. The front camera, on the other hand, is a 5-megapixel module. Talking about the chipset, this handset is powered by the 64-bit MediaTek MT6752 SoC that includes the 1.7-gigahertz CPU and Mali T760-MP2 graphics clocked at 700 MHz. The chipset will also be coupled by the 2GB of RAM and 16GB internal memory across the board. There's the microSD slot for expanded memory consumption. Connectivity-wise, the device supports 4G LTE Cat 4 and the occasional 2G and 3G bands. This 149-gram device comes with Android 4.4 KitKat out of the box and is now available in China for USD 224, roughly Php 10,000. The device is only available in Midnight Blue color. Check out the rest of the specs below.